I took these pics at Marigny Theater before Ulyana Sergeenko show. Oh my gosh! I love that outfit! It has a Filipina feel. I think the model is really beautiful with that no make up make up! 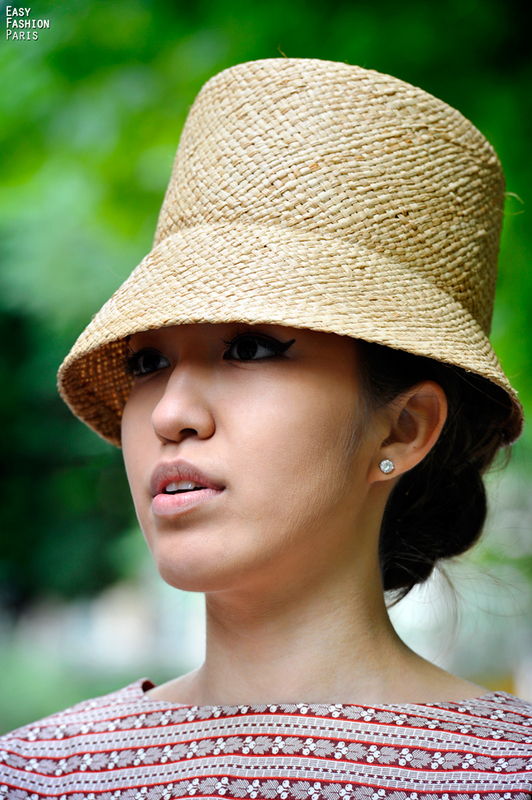 I love this 50's inspiration straw hat !